I know it’s been a couple weeks, but I’m back to give you a brief update today. Something I’ve learned in the last couple weeks? That no matter what I do, it will never be good enough for people. Comes with the territory, I know, but still to receive emails and tweets constantly asking me what’s going on, or accusing me of not knowing anything, it’s kinda ridiculous. How would anyone know what I know? Do you have access to all my information? Of course not. Just is hilarious how some feel the need to call me out on stuff they have absolutely no clue about. Not to mention, I specifically said in my post a month ago that I was going to do things a little bit different this season. I will spoil things when I spoil them. I’ve been holding on to 11 more girls this season for at least 3 weeks now. There is no set time or date as to when I’m going to release stuff. I never know. I just knew that this season I was going to wait longer to reveal stuff because I could. I’m not in competition with anyone so there’s no need to release what I know four seconds after I know it. If you get your season’s spoilers in the end, what does it all matter at what point you got it? As long as you get your spoilers, that’s what you want, right? That’s the goal. To spoil everything before the first episode airs. I’ve done it consistently enough to where I feel comfortable knowing this is where people come to get their info. And you’ll get your info again this season, but I don’t know the exact date. It varies every season. So bear with me, the spoilers are coming. Just because I don’t post for two weeks doesn’t mean I don’t know anything. I know plenty of what’s going on. 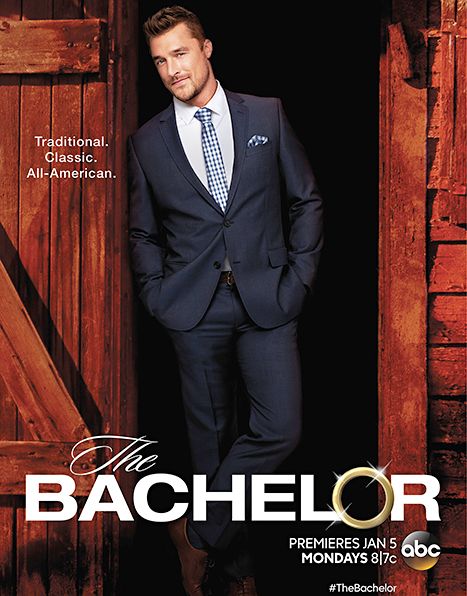 An update to the "Bachelor" spoilers coming next week. There's been a change. Will update you as I get more info after the weekend. Here’s what I’m referring to. The last post I made back on November 5th I told you that they were headed to Bali for the overnights and final rose ceremony. Well, half of that is true. They did go to Bali for the overnights. But back when they were filming the final 4 rose ceremony at the Julien Hotel in Dubuque, Iowa, I was told at the time they were coming back. Which to me made no sense. Why would they go to Bali for overnights and final rose ceremony, only to come back to Dubuque for filming? They’d never done something like that before. Until now. They only filmed the overnights in Bali, they started coming back to the Julien hotel over the weekend (that was the confirmation I was waiting for) and Chris’ final rose ceremony is going to be in Iowa, most likely in a barn either in Dubuque or his hometown of Arlington. Hell, at this point I wouldn’t be surprised if the final rose ceremony happened on Chris’ farm. With the weather the way it is in Iowa this week, they’re gonna have to be inside somewhere and the Julien hotel is only about an hour from where Chris lives. Since production is currently stationed at the Julien, the final location is going to be somewhere around there, so I definitely wouldn’t rule out Chris’ farm as a possibility. It makes sense considering the way they are obviously promoting the season, and it was weird that they flew overseas just for one episode, but, they did. They were all back in Iowa as of Monday, the meet the parents and final dates are this week, and the final rose ceremony is set for this weekend. I know who the final four are and I know who got eliminated at the final three. I will wait until filming is over to see if I can find out who Chris is engaged to (because he 100% is getting engaged), and at that point, I’ll release the final four breakdown first, and then at a later date I’ll fill in the episode-by-episode spoilers. Hopefully I will get who he’s engaged to before next Wednesday, since Thursday is Thanksgiving. If I do not receive it before Wednesday, then I’ll just wait until after the holidays since most of you won’t be around your computers after Thursday. I sent a tweet about this to Steve… so… to address his clear annoyance of us tweeting and emailing him asking for spoilers, I will say, helloooo, the reason we tweet and email is because we’re interested in the information and clearly our impatience and “no life” insane obsession has made you money so don’t yell at us because we’re eager!!! This wasn’t much of an update, but hey… it gets people talking and we like to talk about it and hear about what’s going on. So, even if you don’t have anything, do have something, why not just post regularly to keep your fans intrigued and happy, Steve, ok? Or is that like giving alcohol to an alcoholic? I don’t know. Maybe we’re better off having to wait for the information so we do other more productive things! But, if we start doing more productive things you’ll lose your audience. Probably not going to happen with me. Who am I kidding? I’m hooked. 🙂 So, give me weekly updates please! I don’t understand. If he has 11 more girls why hang onto them? What is the logic in that? I get if he’s not 100% of some of the eliminations, etc wait until he is to release that, but why can’t he at least post what he does have, and what he IS 100% sure of? You should definitely wait until after Jimmy Kimmel tapes his pre show interview with Chris. I would love to see what Jimmy comes up with without your spoilers! What? No blurred far off pics of the back of Chris’ head in some airport in Bumphuck Egypt? Now I’m really disappointed. I guess I’ll just have to fill the extra time feeding homeless kids and visiting nursing homes. RS is a baffling man indeed. I don’t know that I’ve ever met a small business owner (essentially that’s what he is) who is so annoyed and unappreciative of his customers. Instead of viewing the emails and tweets as confirmation of his value and popularity, RS looks at them like an annoying 2 year old. Why don’t you just post a column without a rant or have a good time with it. LOL @bigfathwoman… you are right on and he pretty much is saying the same thing. “I’m trying something different.” Well RS, your something different is a fricking snooze fest. So ladies — a warning — if you are in RS bed and he wants to try something new, try to not fall asleep! He says it’s because he can. In other words, he’s on a power trip. Yes, power trip. Or, he really has less information. I don’t think I’m buying the “because I can” bit. I have to be honest. I skim through his columns, but I really enjoy reading the comments people leave. You all entertain me…keep it coming !! Sadly, too many people subscribe to the Veruca Salt view of life. “But, I want it NOWWWWWWWW.”. They didn’t work for it, they didn’t sacrifice for it, they didn’t pay for it. Steve can do what he wants, when he wants and I’ll still be checking this site regularly, appreciating whatever is here, and anticipating the show in January. Seriously, it’s just a TV show. @angelfish BANG ON! That’s my view exactly! Yeah I’m also not buying the “because I can” stuff. He always “could” but he never has. He obviously has much less intel than in recent seasons, which is fine, just say so! At least he admitted he might not find out who Chris chooses. Wow…Imagine if he really doesn’t get that info. I haven’t watched a season of this show and not known the “winner” since like Ali’s season, I think. Can anyone else remember a season when you didn’t know the spoilers? I read all of his columns and hardly comment ever. However, I’ve been disappointed that there has been so little information. I get that he can do whatever he wants, it’s his column blah blah blah. I don’t need instant gratification about a silly reality TV show, in fact I only usually watch a few episodes each season. But I’ve always enjoyed how blunt and honest he is in his recaps/spoilers and he isn’t giving us the same brutal honesty about himself now. But what have I learned today? That the next time my boss asks for something, I’m going to tell him, “well sometimes you get what you want and sometimes you only get what you need.” I bet he’ll love that!! Ha!! RS could learn from Aaron Rogers. When the Packers got off to a slow start, he told the media “calm down. It will be fine”. Then proceeded to deliver every week from that point on. Yeah, it was a little condescending, but by delivering big time, nobody had any further complaints. So RS, I can put up with a little condescension as long as you bring the goods. Condescension + delivering = win/happy fans. Condescension – delivering = epic fail. We’ve already had one or two epic fails already from RS. So, you might want to dial down the condescension just in case you screw the pooch again and need someone to give you (another) pass. Steve may have given us info more quickly in past seasons, but to me, the only thing that matters is that I am able to watch each episode knowing what is going to happen. I don’t even care if he releases each episode’s spoilers the day before they air, as long as I know what they are when I tune in. Putting high expectations on somebody I don’t know or that doesn’t work for me is just not something I do. I don’t understand the criticism in his releasing information at times other than immediately after he confirms it. I don’t know him, but I know this site is his business, and I’m sure he runs it like one. Just like ToysRus has the latest greatest new toy all ready to go, but they don’t release it until Black Friday. I would assume when you see ABC more aggressively advertise this next season, you will also see Steve posting more here. Timing is everything. Maybe ABC is paying him off to keep quiet this season since ratings have been so low.. just a thought. If so, he is doing a good job of stringing us along and keeping us wanting MORE. No offence Reality Steve but you havent really spoiled anything. The season is almost done filming and we only know 11 girls. Don’t say that you know info because you dont. If you really knew info you would tell us because that is what you do. I feel like the bachandbachette forums have been spoiling alot more that you tbh. Can you imagine how mad the girls are?! Some of them sign up for the show for the free travel that the show has ALWAYS done, and this year all they get is Bali….and Iowa? Man that has got to sting! Lol! I wonder if they did it that way to keep Chris’ image of the All American boy/farmer there. I loved reading about that putz Fleis’ arrest! He is so creepy looking! Ugh. And to think that poor wife has to sleep with him! Can you image turning over and seeing that in your bed! Agree that this crop of women (was gonna type ladies, but most are not) are probably really pissed to have missed out on exotic travel. Iowa could be a lovely place in itself, but as an exotic destination, doesn’t hit the mark. Me thinks this season went the cheap route! @ Sunnyside422 I think you’re right – sure does look like the season went the cheap route. Personally, I cared for about 5 minutes. Maybe less. I watched “The Bachelor Canada” without spoilers and enjoyed it just fine. At this point, the forum here is more interesting than the information from RS. Regarding the Bachelor Canada finale- I was almost positive he was picking April so no surprise there. But how about the way Tim acted at the “proposal altar” when he was dumping Trish? Why the heck was he grinning ear to ear like he just won the lottery? The guy can’t put on a more somber face when he’s telling her goodbye? Also anyone else notice the weird habit he has of pressing his forehead into people? Yuck. Omg peeps get a f**king life! What a bunch of whining losers! Bwahahaha! It is obvious RS has no info on this season. He is far too arrogant and would have posted it by now. Remember last season he was so proud of himself that he had the whole cast & spoilers for weeks before it aired. It is also obvious someone in production is feeding this information to him. There is no way he would know intimate details about some of the cast. He had far too much info about Nikki Ferrell. Remember when he ranted about her being unappreciative of one of the producers running out to find her a microwave so she could “wax”! I do not understand why RS is so mean in his columns. He is getting paid based on traffic on his site so you would think he would want people to comment & email him. His personality speaks volumes and is probably the reason he is still single. I like reading the spoilers but don’t appreciate his tone. His “sources” may be drying up. @ gemsnob, EXACTLY what I was going to say! No information and arrogant to boot. If he had anything, he would not wait to release it for fear someone would beat him to it. My goodness, he was a fire hose of spoilers on Andi’s season! And he couldn’t reveal them fast enough, always adding “other spoiler sites better give me credit”. And we don’t need a long repetitive paragraph about how he’s going to do it differently this time. Yeah, right. Oh the comment section never fails to entertain. Hilarious how worked up ppl can get about this show- so much so that strangers resort to telling him how to run his own site and write his own column, to freaks imagining what he’s like in bed based off his “demeanor and tone,” neither of which you can hear or see. No wonder he makes fun of us, so embarrassing. Gemsnob, your comment is my favorite. He’s totally single, I love how you just know that.. and if he’s not, I bet his gf is nothing compared to you. There’s a big difference between getting information and being able to CONFIRM that information. I’m ok if Steve is taking the extra time. He said at the beginning of filming that he was doing things differently. How is that confusing? While some people love to drag out the few errors Steve has made over spoiling SIXTEEN Cycles of Bachelor-based shows, his mistakes can still be counted on 1 hand. That percentage is amazing in any market. And that’s why he makes money doing it. As for other “spoiler” sites? We’ve all seen them, and they generally consist of a few dozen bored posters with plenty of time to stalk strangers on social media, then congratulate each other on how brilliant they all are. And their criteria? Finding and posting something before Steve, then gloating to each other. THAT is their only goal. It’s the most hilariously sad thing I’ve seen in the Bachelorverse! Chris Harrison was hanging out at Lot 1 (a bar) in Dubuque last night. He was actually very nice to everyone. He took pics with everyone. No sign of the bachelor himself though, but he’s staying a block away. Well, smithyeni posted above about a fan site that supposedly has spoilers that even Steve doesn’t have. FYI- The promo where Chris is “in a corn field hearing voices” is a reference to the ’80s movie “Field of Dreams.” The movie starred Kevin Costner as a farmer in Iowa who cuts down his corn field in anticipation of a response to the voices he was hearing telling him, “If you build it they will come.” It was a baseball movie. You probably know this already, but when I saw that promo I figured that very few from The Bachelor’s demographic would get this. I was a teenager when I saw it and had to write a report on the film for my high school film appreciation class. I actually loved the film, but people have used its lines for comedic reference ever since. I thought the promo was very funny. Cheers from one of your 40-something fans! I have been following you for years and at last I finally give!! Most everything you say and post is easy, nothing complex, very entertaining etc….You do a great job. personally I couldn’t put up with all the BS from others so kudo’s to you. BUT, I have a question and a comment. The question is…you have always stated that the runner up never gets the the gig for the next Bachlor/Bachlorette. ABC doesn’t have time for airing, emotions running high, etc…etc…what about “BEN FLAJNIK”. I don’t believe I got the spelling right but you know who I am talking about. Wasn’t he Ashley’s runner up about rejecting him for JP? He got the gig? So how it is NOT possible? If he got it, it is possible others can do the same? I need some clarification please. Also, I know you have decided to run your posts differently this seasons not really giving any indication why. For us veterans that have become accustom to your style in the past, I know you don’t care for some us that are really dedicated to you and following explicitly, it got a little irritating having to get use to a whole different style of when you felt like posting and when you didn’t. I really like you, your talent and overall personality in everything you do. but I found myself for the first time in years not looking at your website or Twitter because there was never anything there and it became very discouraging. I recently turned a lot of people onto your site that didn’t know about it (believe it or not) and I feel like I let them down because I told them about it during Andi’s season and then you changed your format. I still appreciate your hard work spoiling this stuff for all of us unlike other people that do nothing that complain. But I really am hopeful you will go back to the same kind of format that us veryerans are use to. Have a good one! !